ComeSeeOrlando.com: The Holidays are just 6 months away! 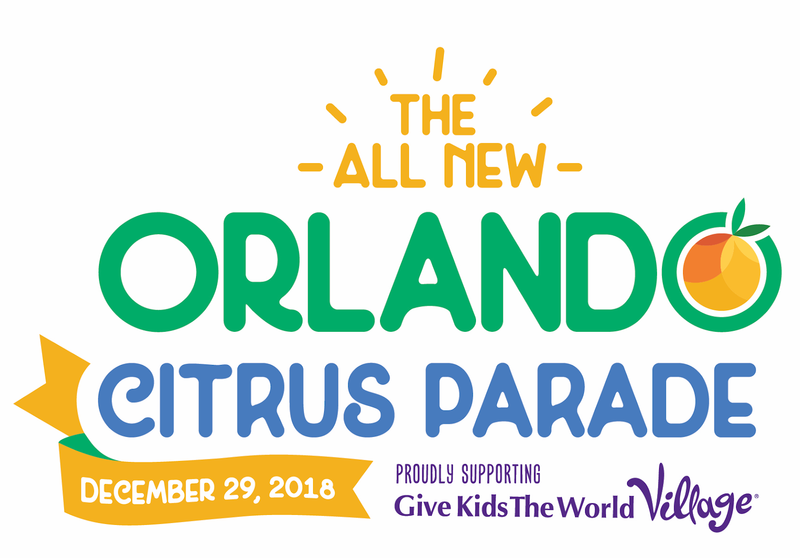 The ORLANDO CITRUS PARADE is coming to downtown Orlando on December 29th. In addition to its signature citrus floats made of tangerines, grapefruits and oranges, the parade will feature celebrities, large-scale parade floats, local celebrities as Honorary Grand Marshals (hometown heroes), spirited high school marching bands from across the nation, participating bowl game college marching bands, balloons, local performing groups, specialty units and other exciting performances. Upwards of 3,000 participants take part in the event. The 2018 grand marshals, performing groups and celebrities will be announced later this year. As it makes its way through downtown Orlando, the parade will air live in the Orlando market on WFTV. It will also air nationally as a one-hour syndicated show, “Florida’s Winter Celebration from Orlando,” for the months of January and February. “The Orlando Citrus Parade has been a part of our community for more than 35 years, bringing families and football fans from all across Central Florida into the heart of downtown for one of the city’s most unique annual events,” Florida Citrus Sports CEO Steve Hogan said. “We are excited and honored to partner with Give Kids the World Village in support of such an extraordinary cause." This year’s parade will support Give Kids The World Village – an 84-acre, nonprofit “storybook” resort in Central Florida. At the Village, children with critical illnesses and their families are treated to weeklong, cost-free vacations. Since its founding in 1986, Give Kids The World has served more than 165,000 families from all 50 states and more than 75 foreign countries. At Give Kids The World – one of the country’s top-rated charities – no child is ever turned away, and there is never any charge to visiting families. The parade route begins at the corner of Orange Avenue and Robinson Street and continues south on Orange Avenue, east on Anderson Street, then north on Rosalind Avenue. The parade concludes at Rosalind Avenue and Robinson Street. The route is 1.4 miles in length and takes 90-120 minutes to complete. Information on Grandstand seating at the Parade Performance Zone will be available in September. The parade is being produced by Parades R Us in association with JM Best Entertainment. Executive producers are John M. Best, Pamela Bolling and Michael Chapman. Producers are Sarah Griffith and Angela Bowles. Florida Citrus Sports is a not-for-profit membership organization dedicated to increasing community spirit and pride, promoting tourism, stimulating economic development and ultimately benefiting charities, educational institutions and the quality of life in Central Florida through its signature events, including the Camping World Kickoff, the Citrus Bowl, the Camping World Bowl and the Florida Blue Florida Classic. For more information, visit www.FloridaCitrusSports.com. John M. Best is the president of JM Best Entertainment, a principal in Parades R Us and a 5-time EMMY Award winner and multiple nominee. The company specializes in large-scale live television and event production. Some of their current productions include the biggest events in the biggest cities across the United States: American Valor: A Salute to our Heroes, The National Cherry Blossom Festival Parade in Washington, DC, The National Memorial Day and 4th of July Parades in Washington, DC, Miss America’s Outstanding Teen Competition, Philadelphia’s Thanksgiving Day Parade, Chicago’s Lighting of the Magnificent Mile Holiday Special and the Piedmont Natural Gas Nashville Christmas Parade presented by Tootsies. John teamed with Access Philadelphia to produce the Opening Event for over 7,000 volunteers for the Democratic National Convention in Philadelphia in 2016 and when it was time to welcome Pope Francis to Philadelphia and open the World Meeting of Families in 2015, they also teamed up to produce that historical event. John has been a part of the production teams of over 125 network and cable television specials including every major award show, The Opening and Closing Ceremonies of both the Atlanta and Salt Lake City Olympic Games, The Pre Race Show at the Daytona 500 in addition to 150 Live Events and more than 100 corporate shows. John has teamed with Pamela Bolling and Hardrive Productions of Orlando for more than 15 years on several entertainment projects, television specials and live event shows. Michael Chapman is part of the Parades R Us team as an Executive Producer of the event. For more visit jmbestentertainment.com and hardriveinc.com.